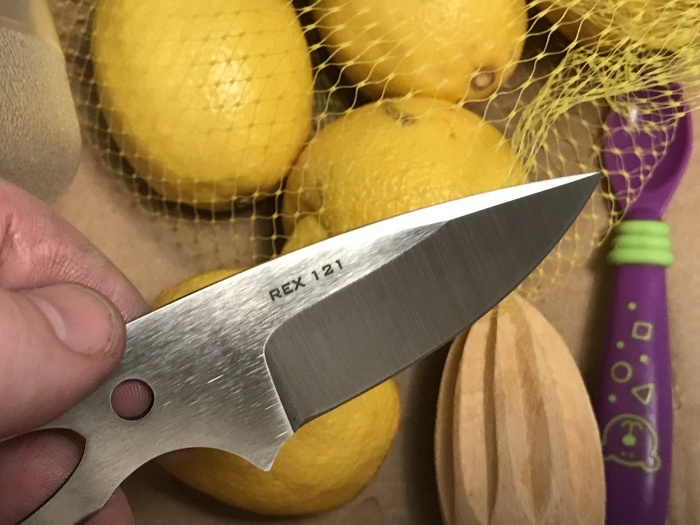 Recently funded on Kickstarter, the Mako Rex 121 uses steel that approaches the limits of the Rockwell hardness scale. Meet the Mako EDC, a super-steel knife meant for everyday carry. 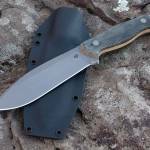 Knifemaker Gary Creely launched the model successfully on Kickstarter. But it caught our eye because he used one of the most exotic steels on the market: CPM REX 121. 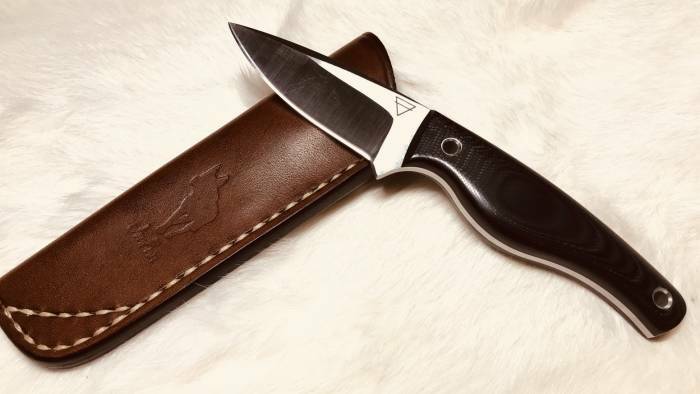 The Mako EDC is a 6.9-inch fixed-blade knife. It has a fairly large, nontraditional handle made with black G-10 scales. But enthusiasts will drool for its blade. There, you find wildly hard Crucible CPM REX 121, a steel that Creely claims to harden to 68 on the HRc scale. For reference, the scale tops out at 70. What does that mean for knife users? 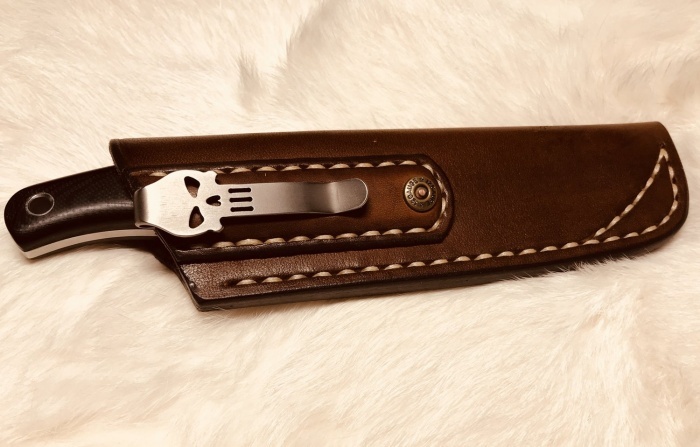 Basically, this knife will hold an edge longer than almost every other knife on the market – other than maybe a handful of blades made with Maximet and a few other super steels. But it does come with drawbacks. Thus, the Mako EDC was born from a metal not yet explored by most production companies. Users can expect it to hold a razor sharp edge for a long time. But – and this is a pretty big but – it will likely chip easily if abused. This is because hardness and toughness typically lie on opposite ends of the knife-making spectrum. You can have some of both, but increasing one usually decreases the other. Thus, this thing should slice like a champ, but if used to baton or pry, it could easily chip or even break. And that, in part, is why Creely designed it as a small fixed-blade. It’s meant to cut, over and over, and stay sharp. Just don’t abuse it. 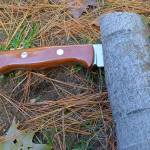 And once you do dull the blade, resharpening will also be difficult due to the super hardness of the steel. But Creely said it can be resharpened as long as proper diamond-surfaced materials are used. Of course, all this sharpness comes at a cost. You can order a Mako EDC online now for delivery in July. But at a high price of $379. For those interested in other models in REX 121, keep an eye on Creely’s Kickstarter. I wouldn’t be surprised to see other knives there soon. And if his previous fundraiser is any clue, he’ll offer the blades there at a significant discount.